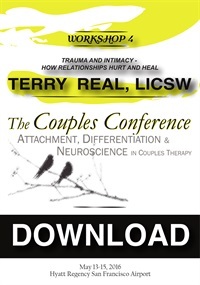 Terry Real, LICSW is a nationally recognized family therapist, author, and teacher. He is particularly known for his groundbreaking work on men and male psychology as well as his work on gender and couples; he has been in private practice for over twenty-five years. Terry has appeared often as the relationship expert for Good Morning America and ABC News. His work has been featured in numerous academic articles as well as media venues such as Oprah, 20/20, The Today Show, CNN, The New York Times, The Wall Street Journal, Psychology Today and many others. Credit Type -- Select Credit Type -- A.C.C.M.E. A.M.A. A.P.A. B.R.N. N.B.C.C. Research confirms our clinical experience. 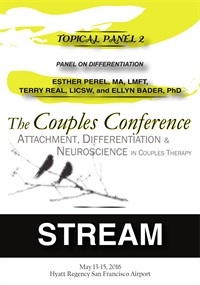 We can teach partners all manner of skills but in moments of triggering, emotional flooding, skills go out the window. Why? Because we are no longer in our adult selves. Our thinking brain has shut down and the limbic system has taken over. An inner child part has seized the wheel. 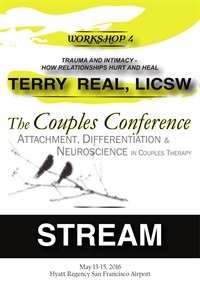 This workshop introduces a model of working with the traumatized parts of the partners we treat by empowering individuals to come into conscious relationship with those parts—loving, understanding, and ultimately containing them. CC16 Keynote 05 - Me or We or Them – Who Do I Belong To? 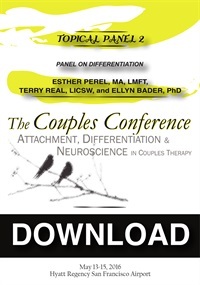 All couples and couples therapies struggle with issues of mixed loyalties. At any given moment, do I choose my own fulfillment as an individual or do I yield to the needs of the relationship? Is it a zero-sum game in which one partner wins and one loses – and if not, how else can we think about it? 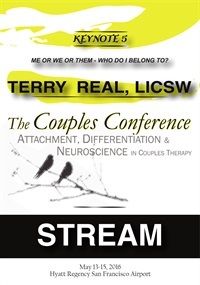 This keynote address introduces a model integrating both attachment and differentiation in couples therapy through the idea of enlightened self-interest – taking care of yourself by taking care of the relationship – as well as a model of healthy sacrifice, which is missing in our contemporary, Narcissistic culture.